Senate Majority Leader McConnell and the GOP should stop allowing the minority party to dictate what occurs in Congress. Conservatives better take heed and telephone their senators and representatives in the House and tell them to start behaving as if they are the majority. Democrats are leaving the United States feeble and embarrassed as they collectively drag their feet on all of President Trump’s ambassador and executive nominations. At a time when the United States must be using every diplomatic lever at its disposal, the Democrats are playing partisan politics and giving little concern to our nation’s security and foreign policy interests. Now more than ever, Congress must confirm President Trump’s nominations to provide him with the leadership he needs to justly level the playing field for the United States, negotiate key issues with the U.S. partners, avert threats from our enemies and provide Americans with the safety and security at home they deserve. According to reports, more than 43% of President Trump’s nominations are awaiting confirmation in the Senate, a stunning number as the United States looks to accomplish some of the most momentous and symbolic diplomatic achievements in recent history. 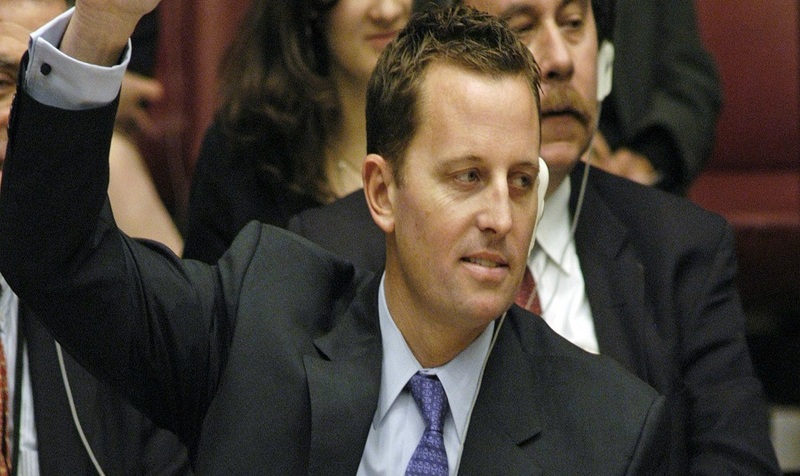 One ambassador confirmation presently in limbo that continues to perplex the Trump Administration and conservatives is the nomination of Richard “Ric” Grenell as Ambassador to Germany. Ric Grenell, formerly the longest serving spokesman to the United Nations under President George W. Bush, has been awaiting confirmation since last October. He has broad support from Republicans and has cleared the Senate Foreign Relations Committee not once, but twice. Democrats in the Senate Foreign Relations Committee continue to affirm they are not obstructing Grenell’s ambassadorship, however, at least one Democratic senator has placed a hold on Grenell’s confirmation. A strong conservative with a keen understanding of foreign policy, Grenell is one of the President’s best Ambassadorial picks. 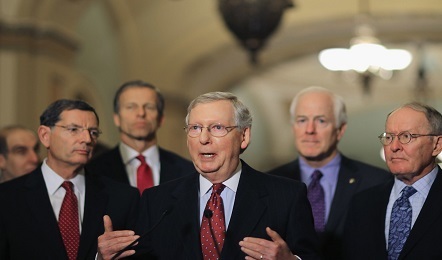 Fortunately, Senator Majority Leader Mitch McConnell can smoke out the Democratic Senator who has placed a hold on Grenell and squash the Democratic obstructionists by forcing a vote to confirm his nomination. Senator McConnell previously had stated that he hoped to have Grenell confirmed by the end of 2017, providing the Trump Administration and the American people with an ambassador to one of the most powerful non-nuclear nations in the world. However, three months have passed since McConnell made that statement and the ambassadorship remains vacant. In response, President Trump recently voiced his frustration with McConnell, stating that the Senator had little trouble when it came to confirming his wife’s nominees at the Department of Transportation. President Trump has a great opportunity to accomplish some of the most significant diplomatic achievements in recent history. ConservativeBase.com urges conservatives nationwide to contact Senate Majority Leader Mitch McConnell at (202) 224-2541 and urge the Senator to force a vote to confirm Richard “Ric” Grenell’s ambassadorship to Germany, protect our nation’s national security and foreign policy interests, and show that America is great once again!